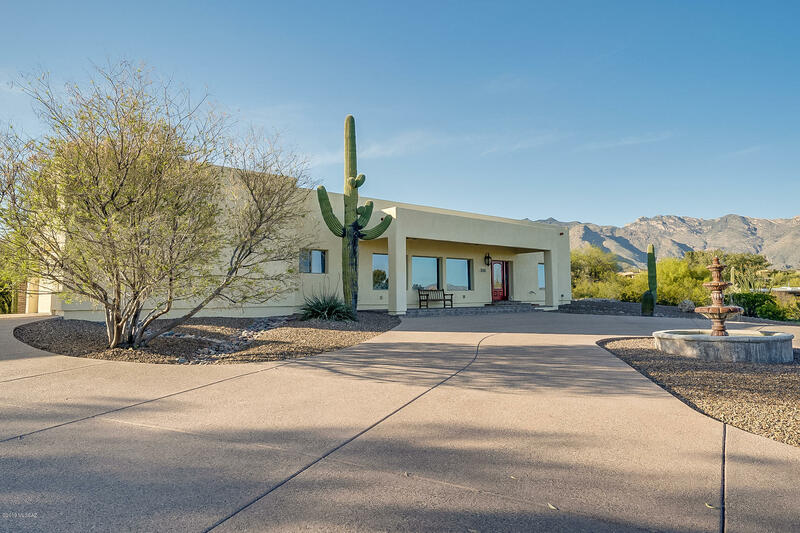 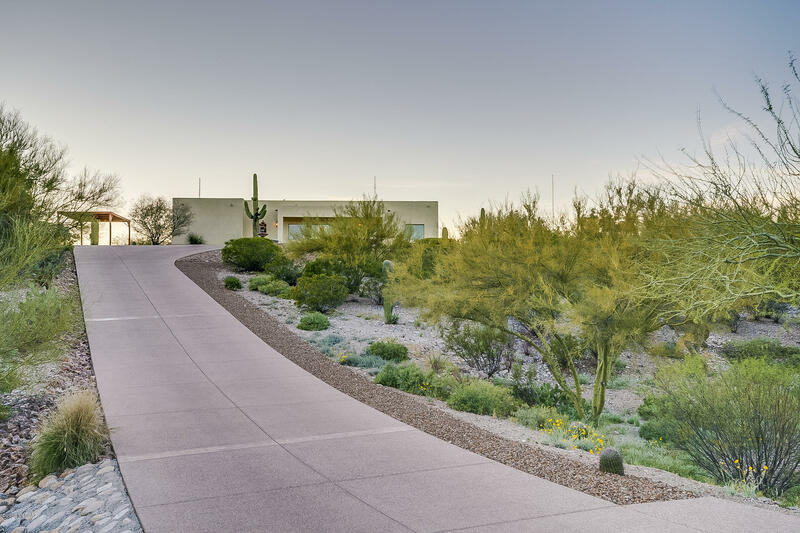 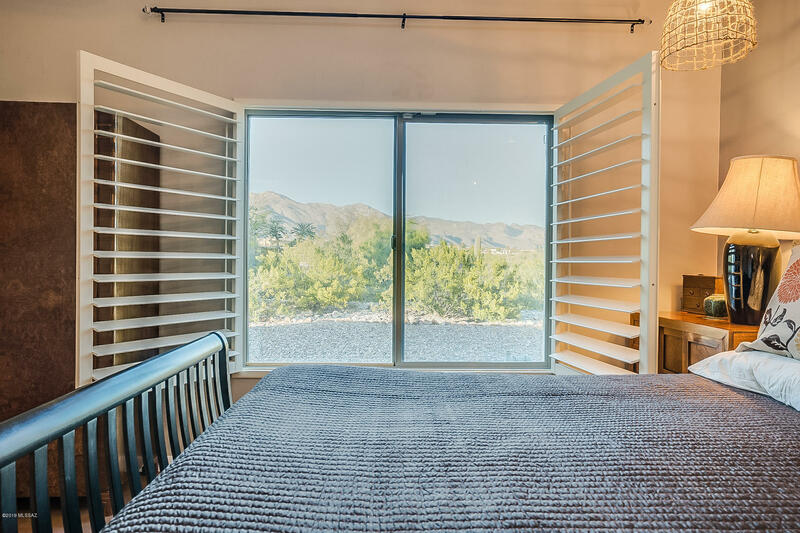 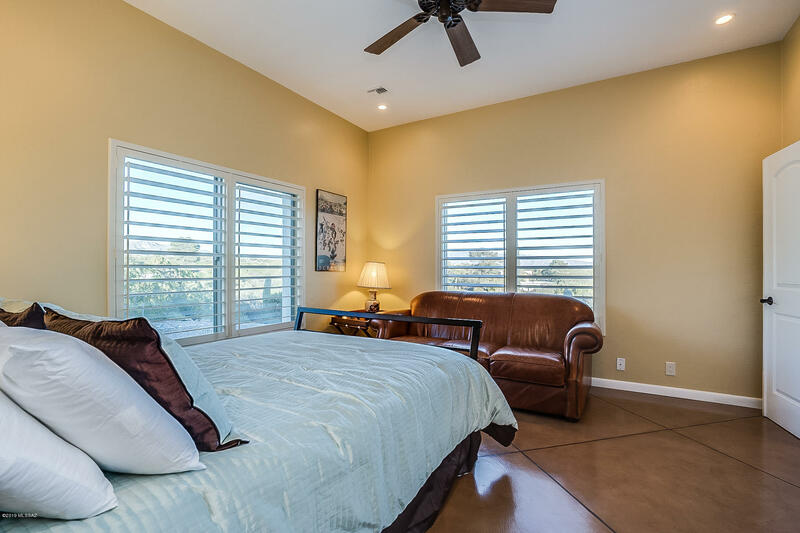 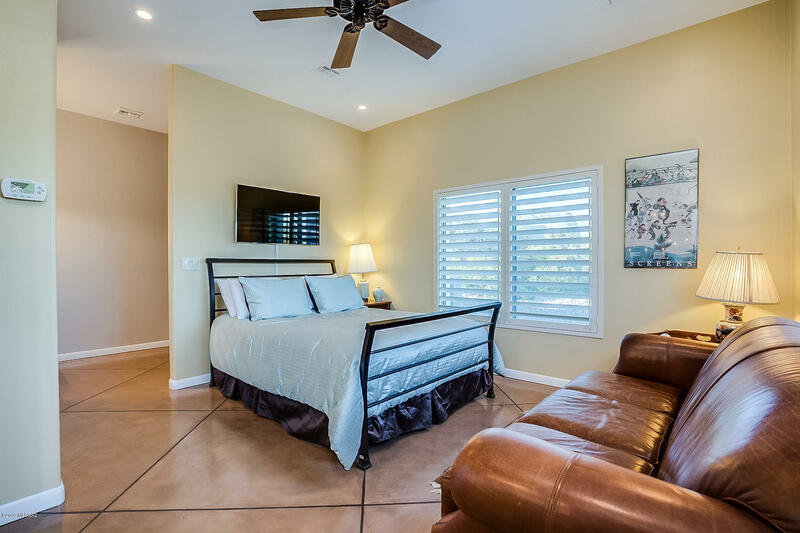 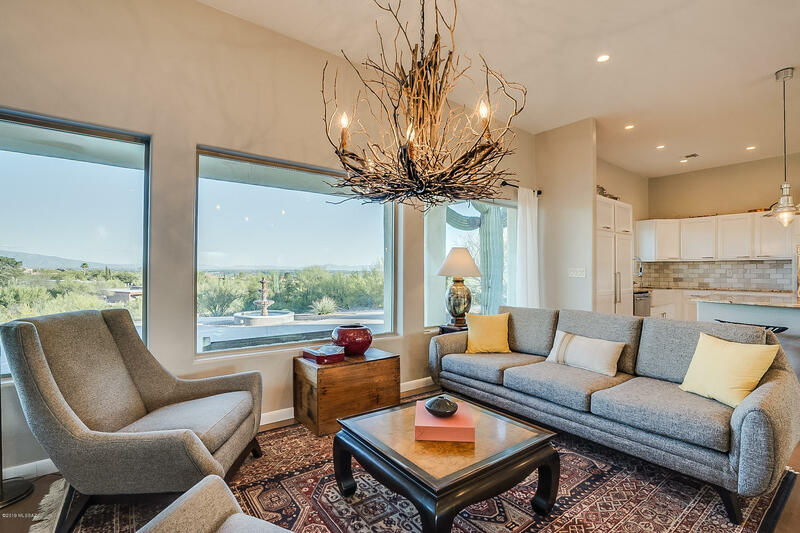 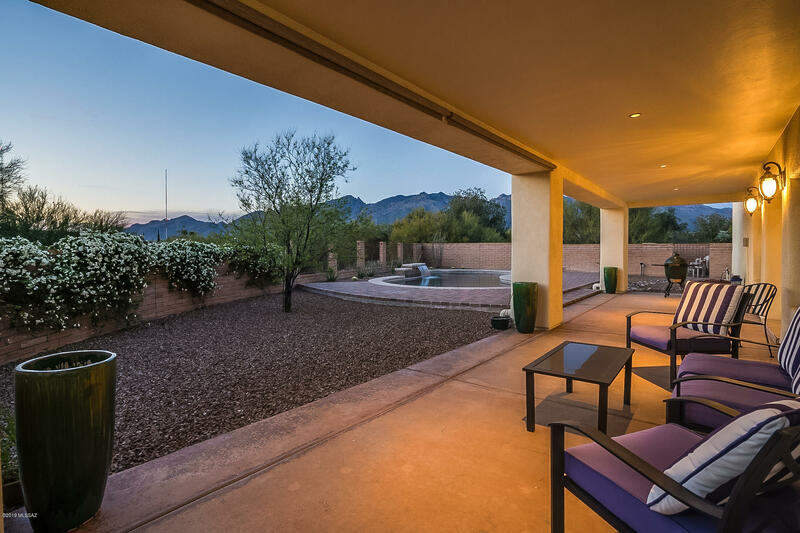 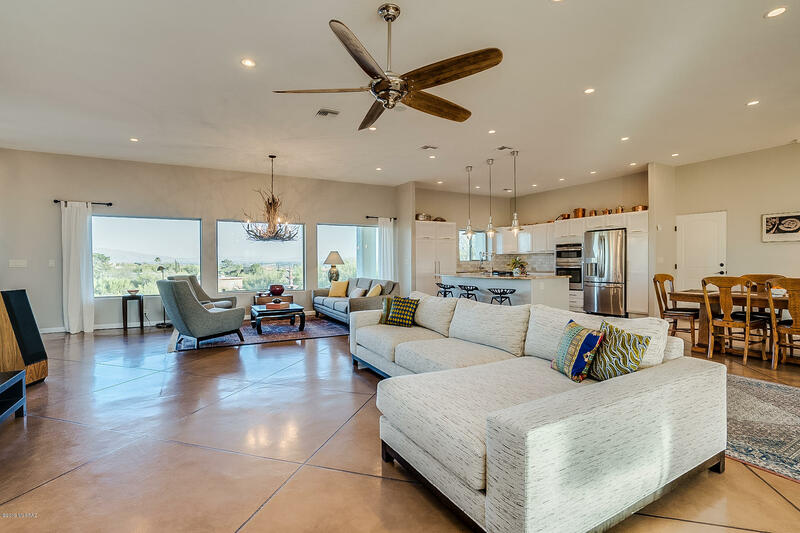 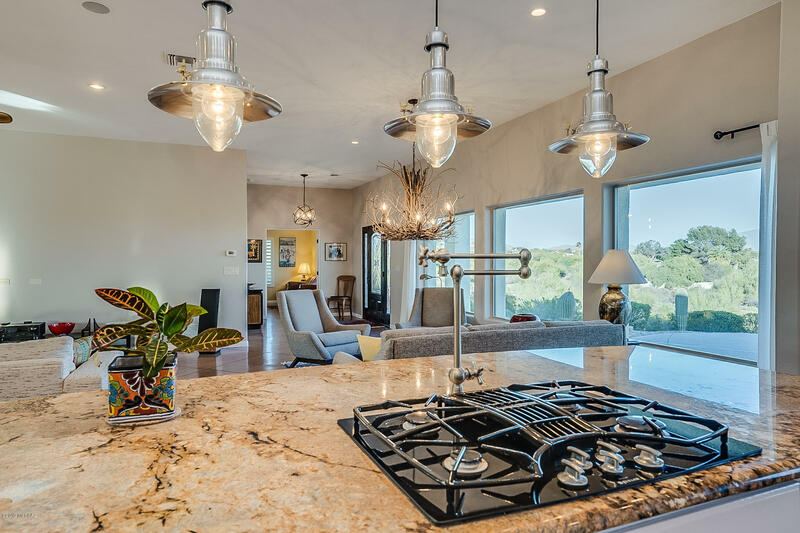 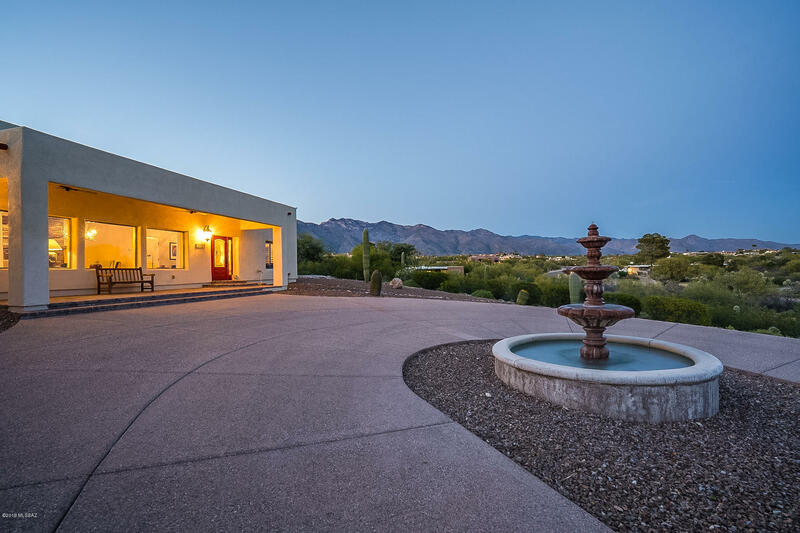 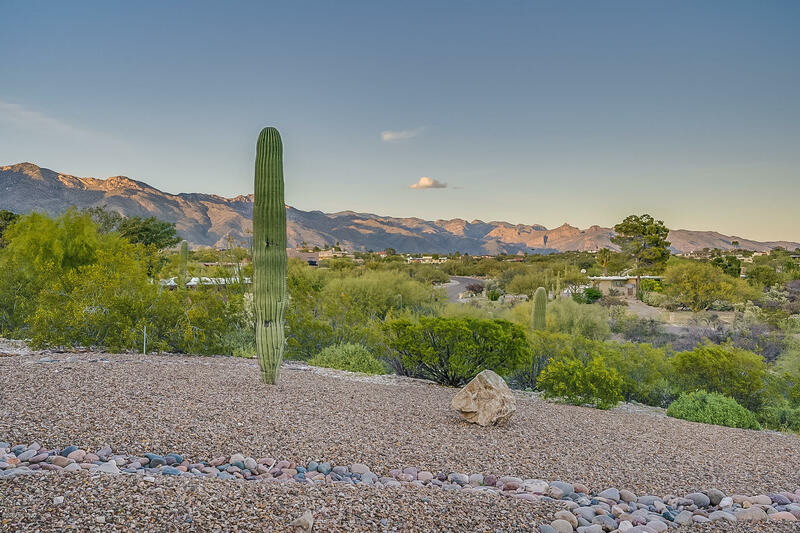 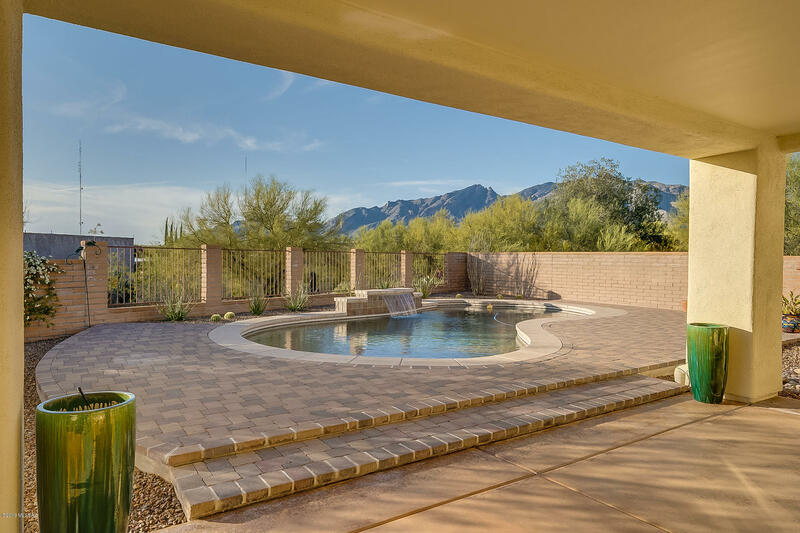 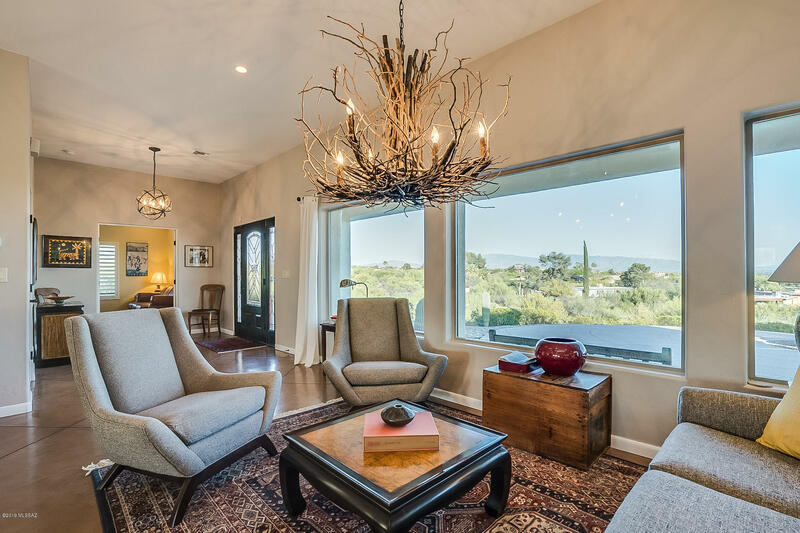 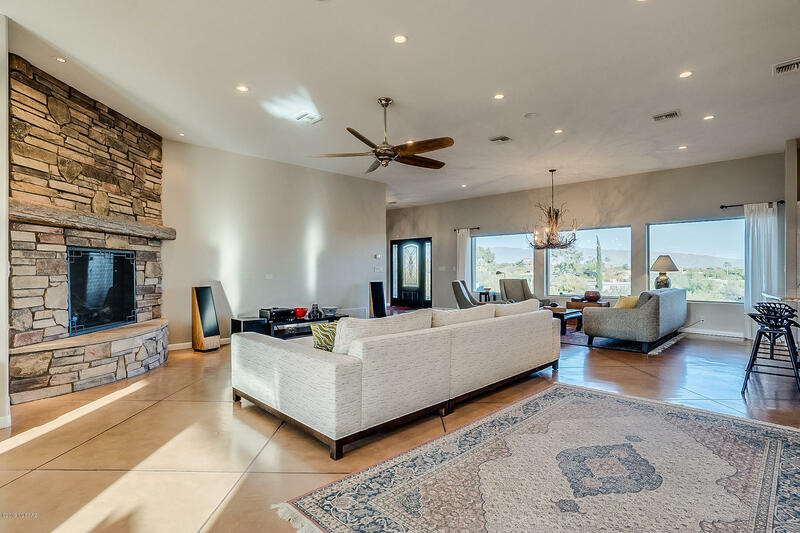 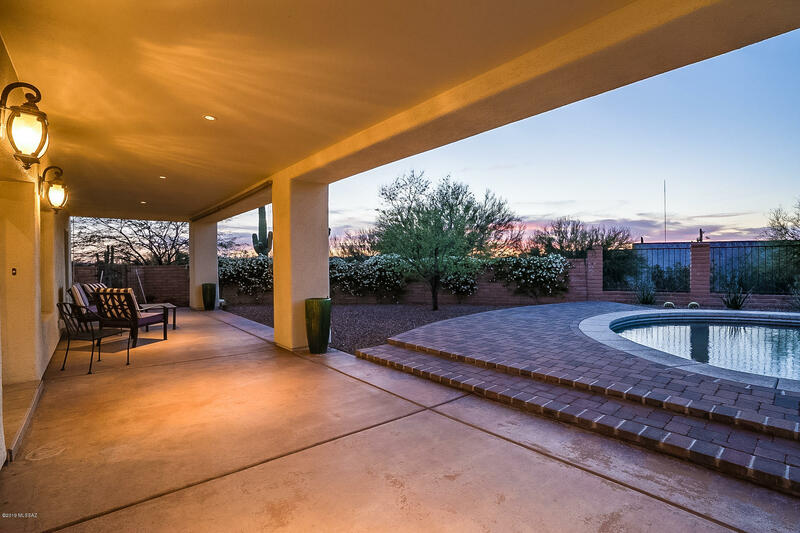 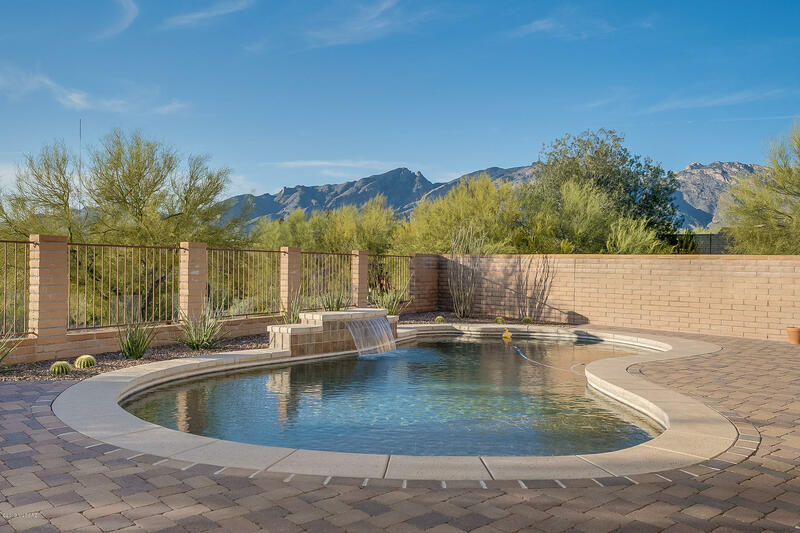 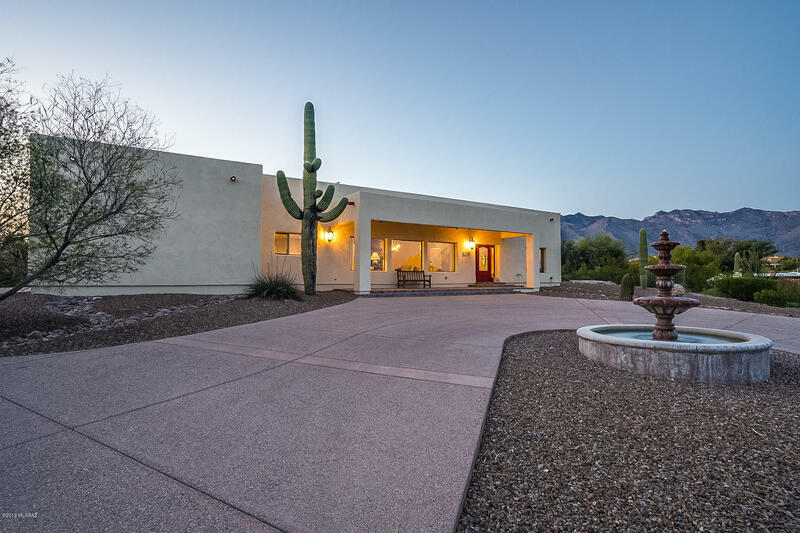 Stunning ridge-top home w/spectacular mountain & city views, visible from inside the spacious plan w/large windows designed to bring in the surroundings. 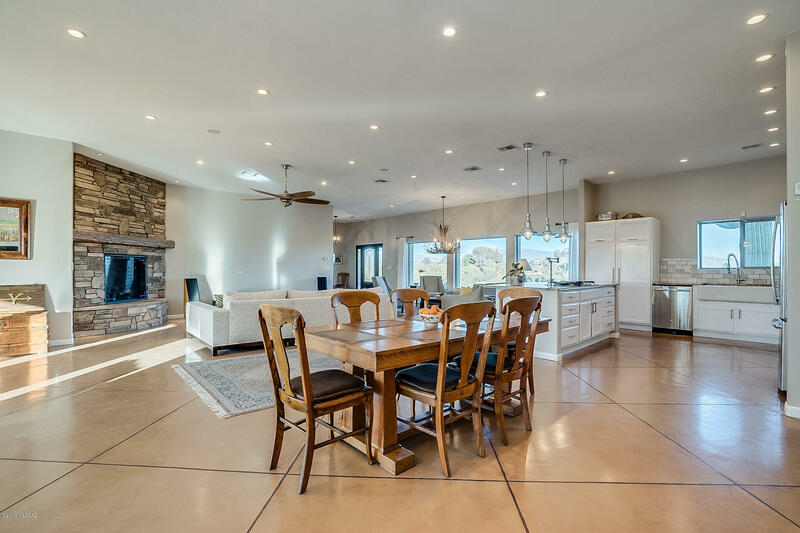 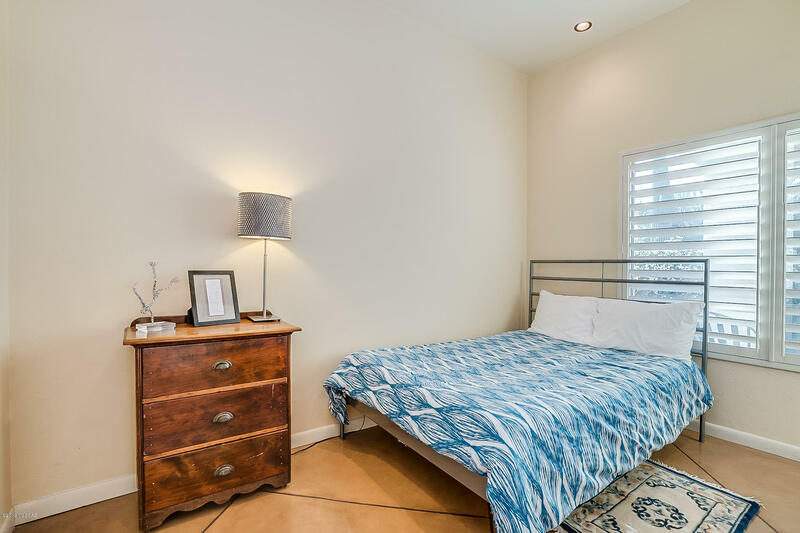 Home completely rebuilt in 2009, only leaving 2 original walls, adding modern design & space. 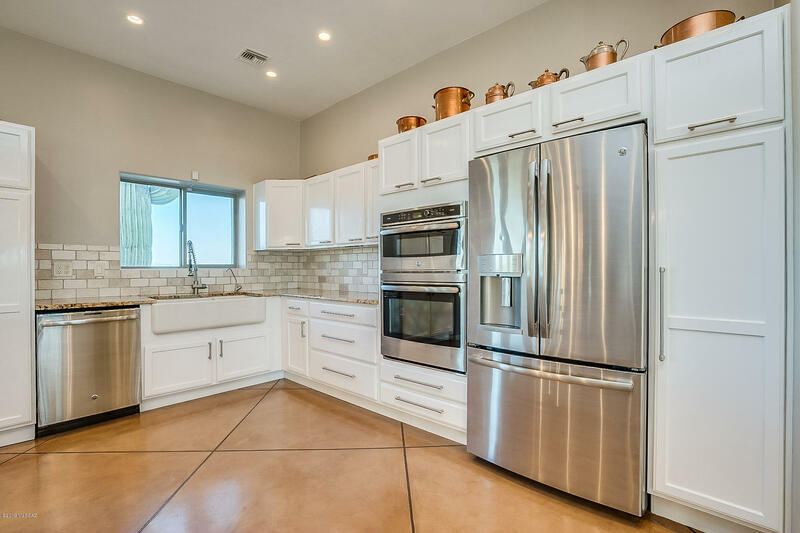 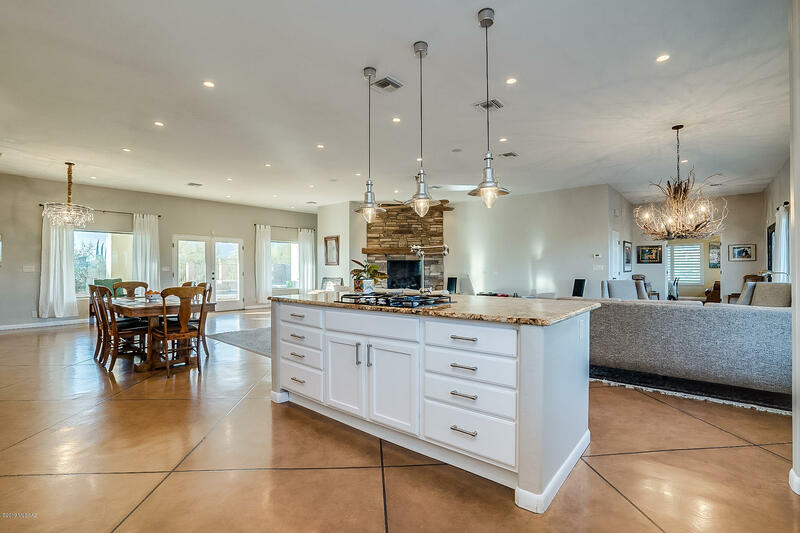 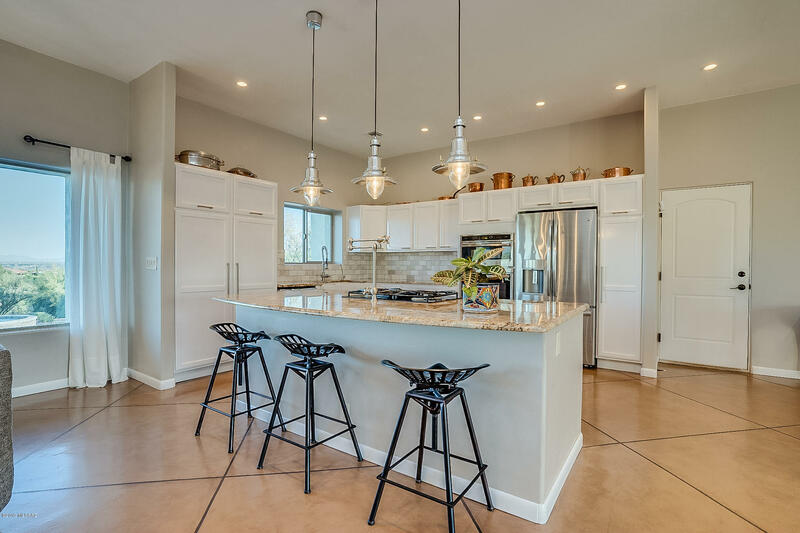 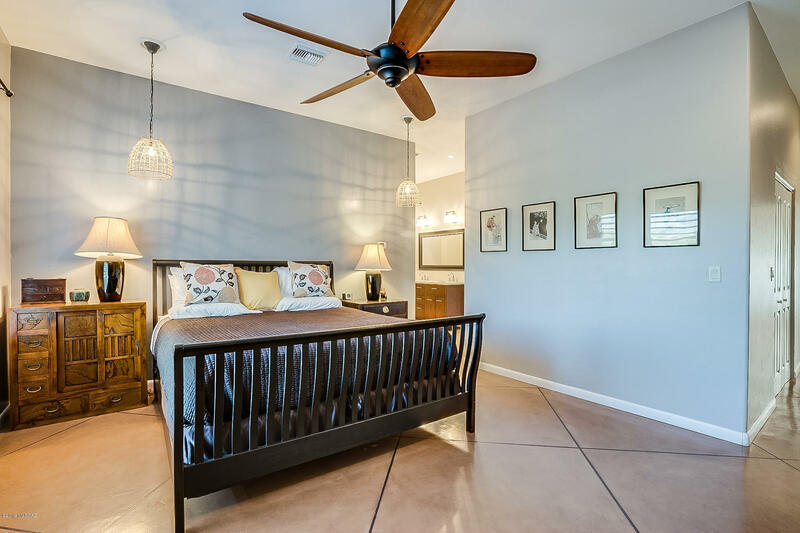 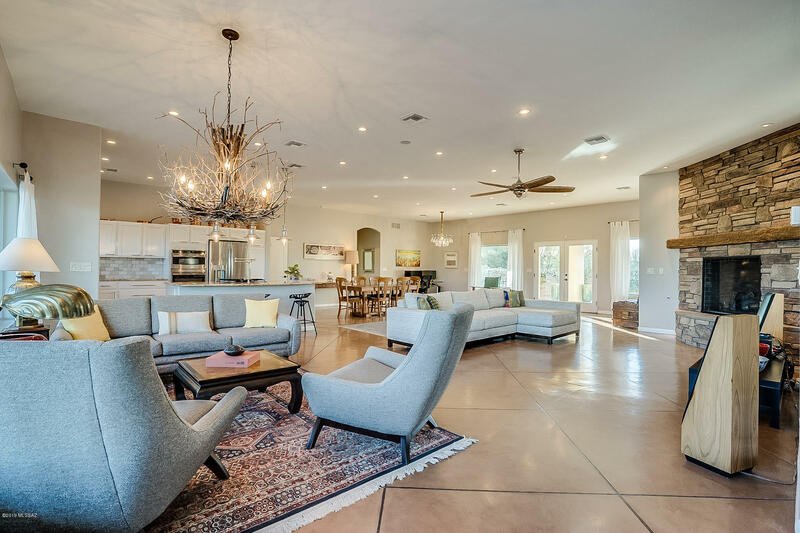 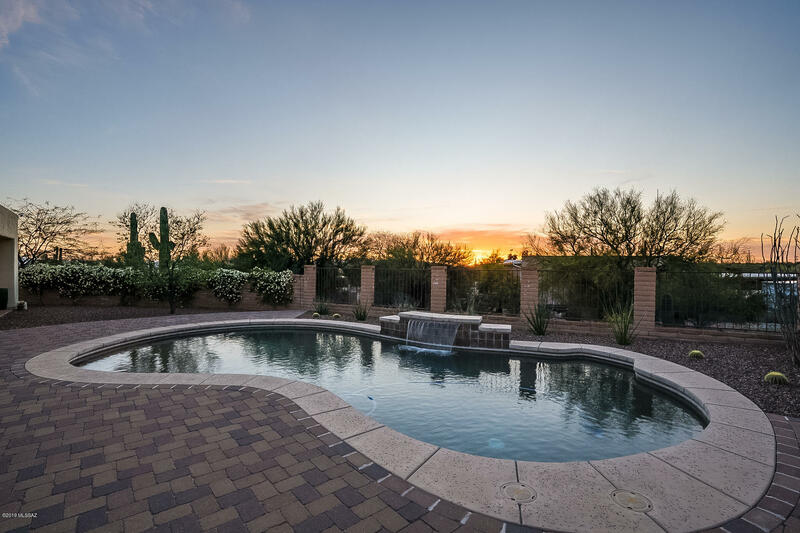 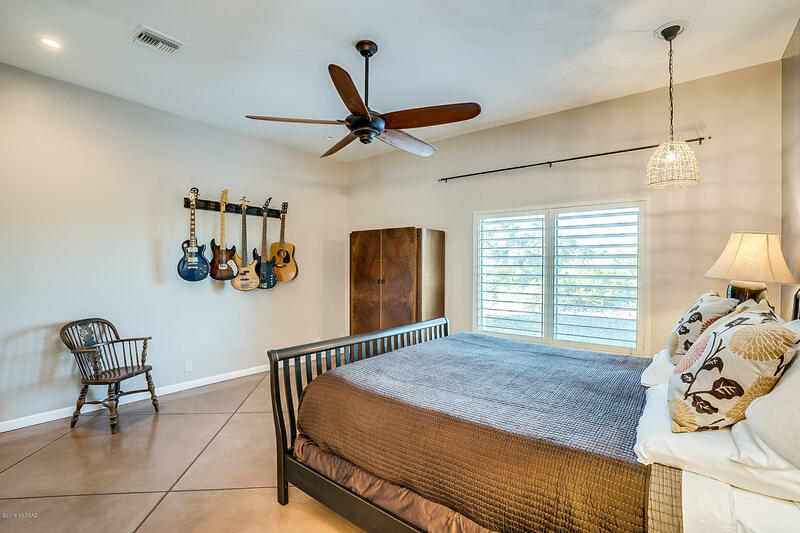 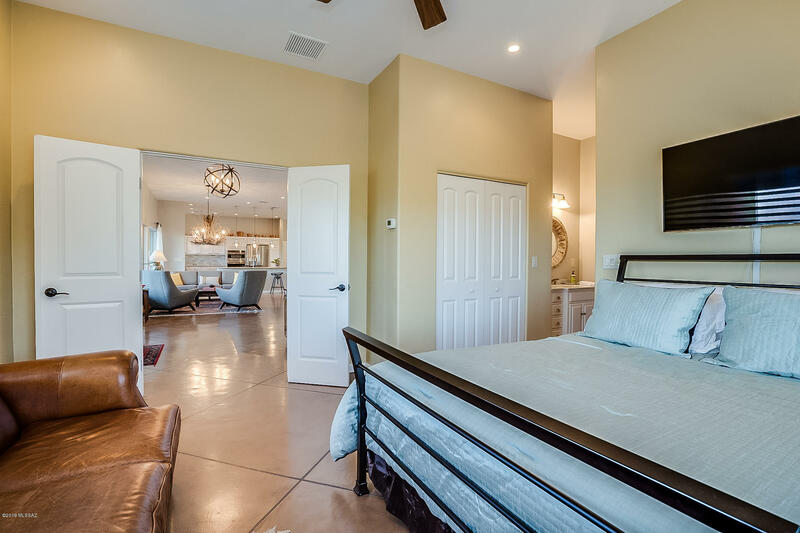 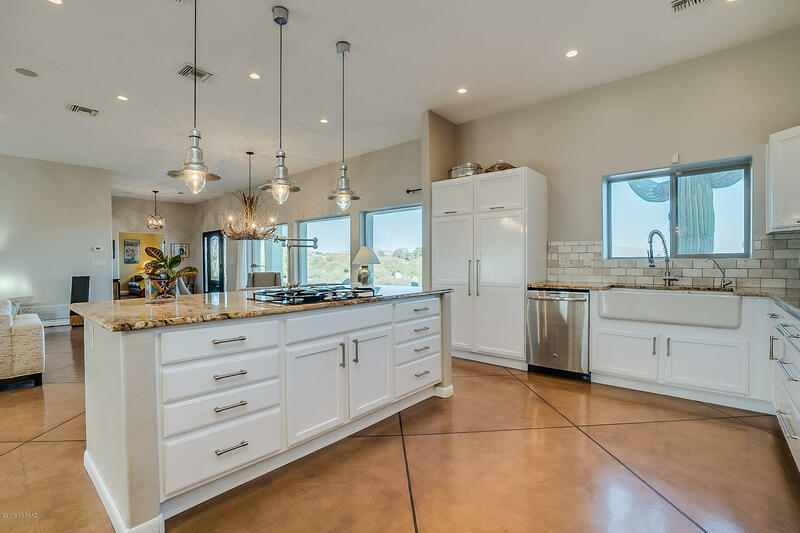 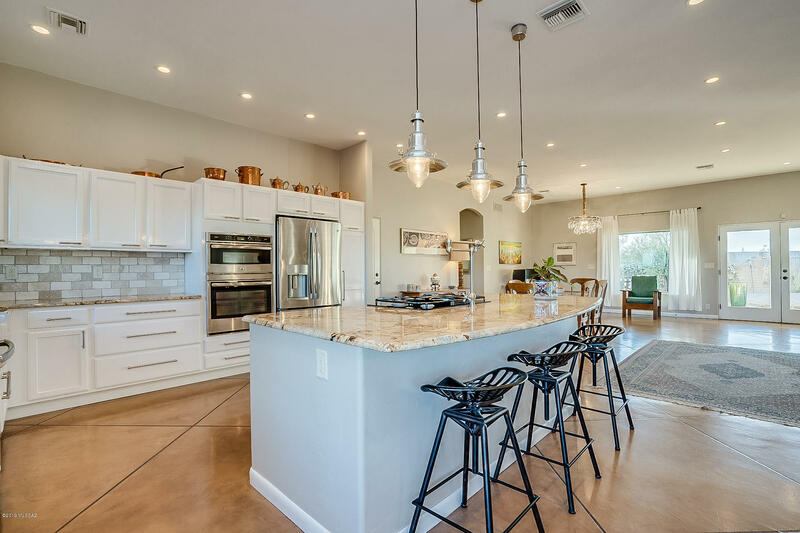 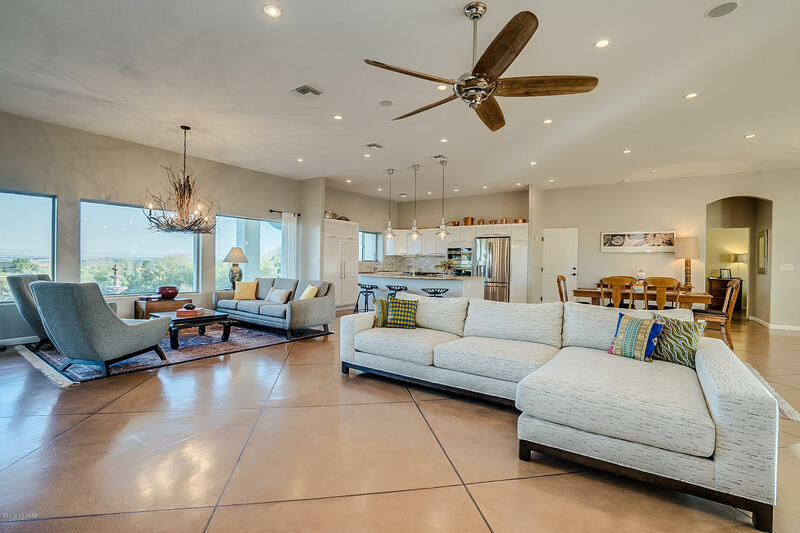 Features include large open great room, gorgeous kitchen w/new SS appliances & breakfast bar, 10' ceilings, polished concrete floors & stone fireplace. 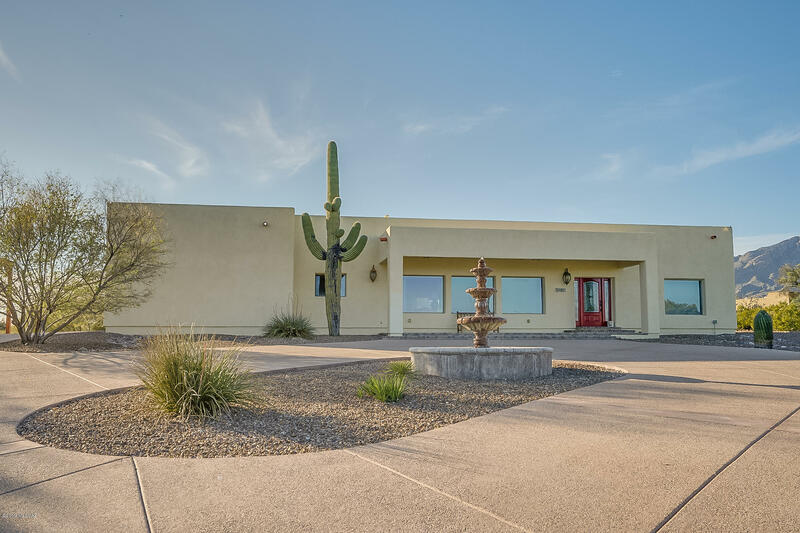 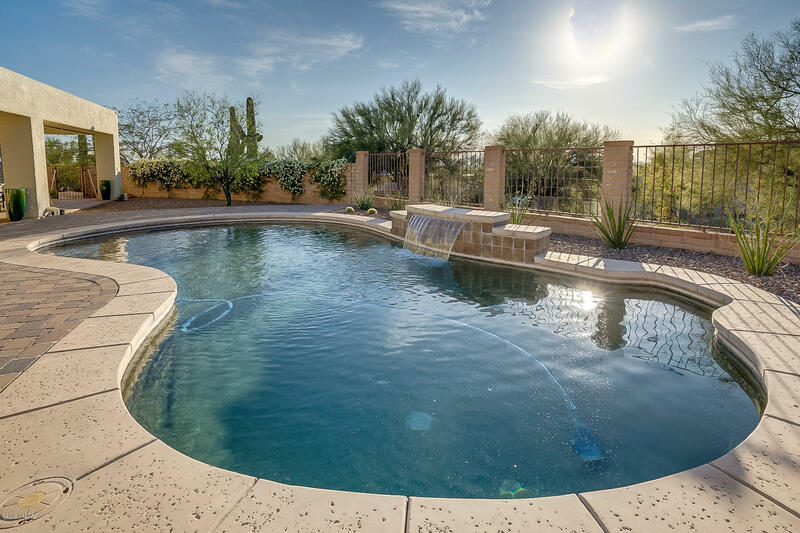 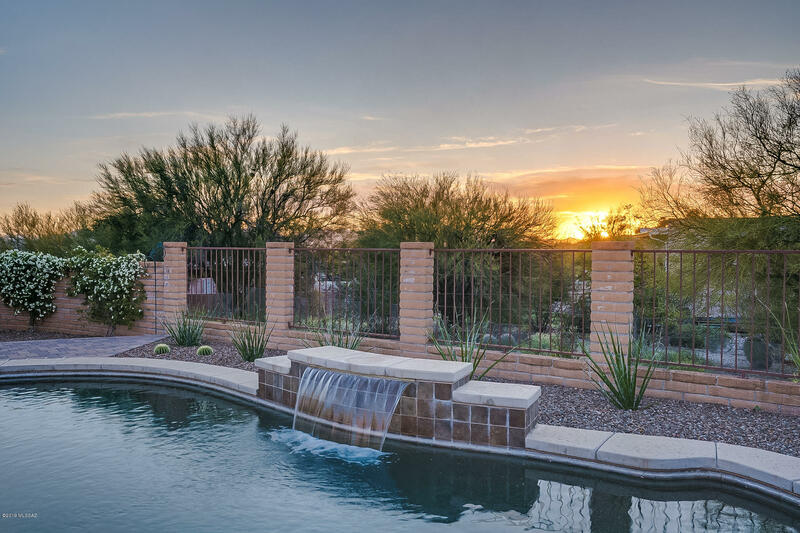 French doors on back wall of windows lead to landscaped yard w/new drip irrigation system, large covered patio & sparkling pool. 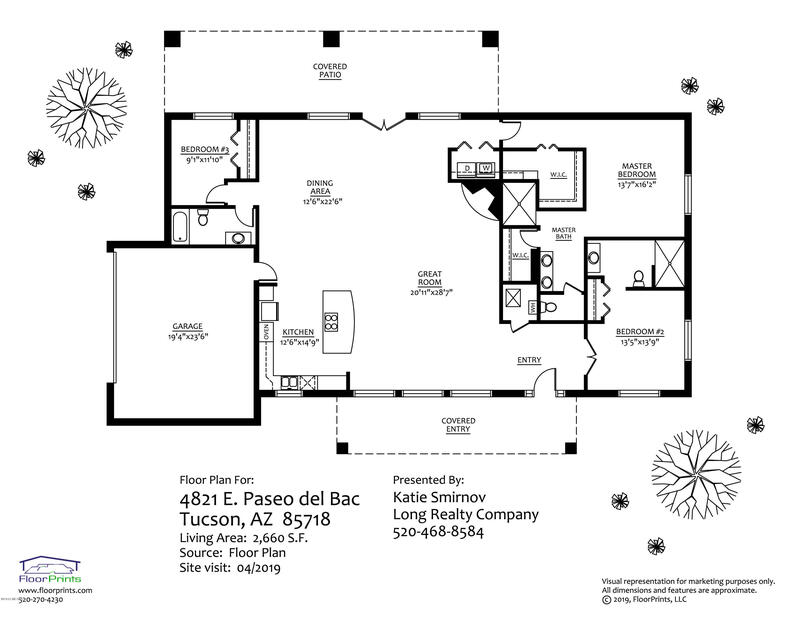 Home has 3 bedrooms, each w/own bathroom. 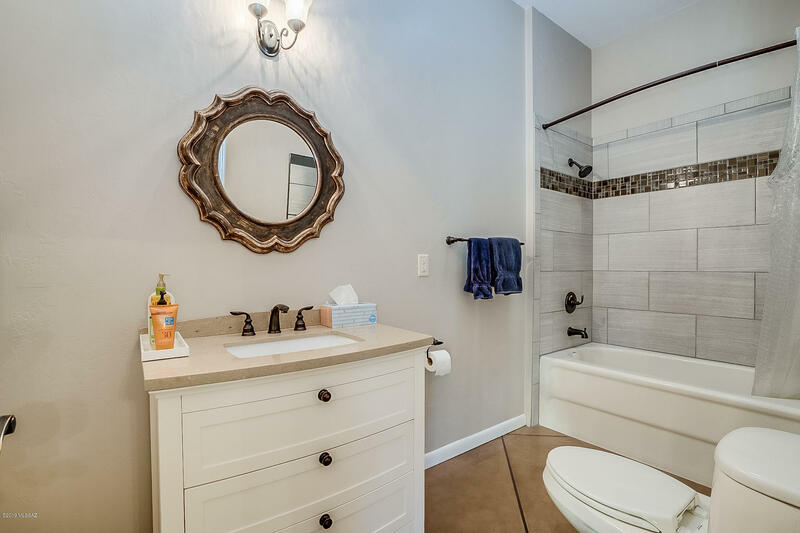 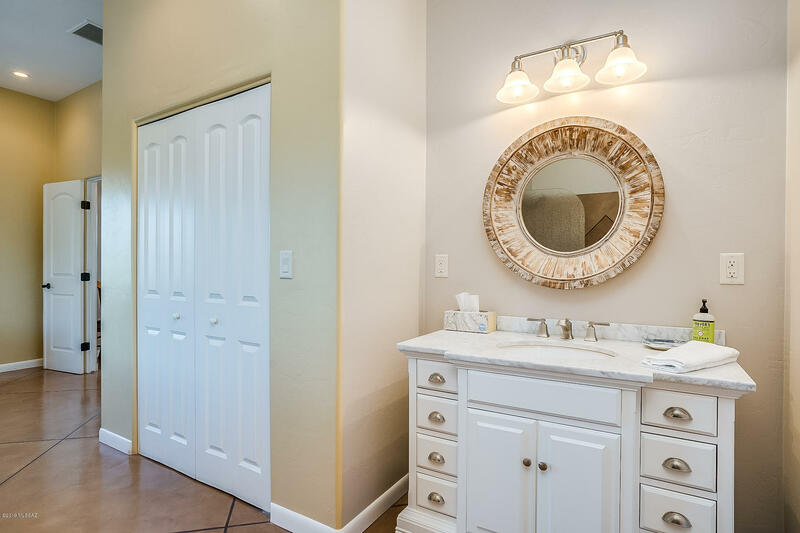 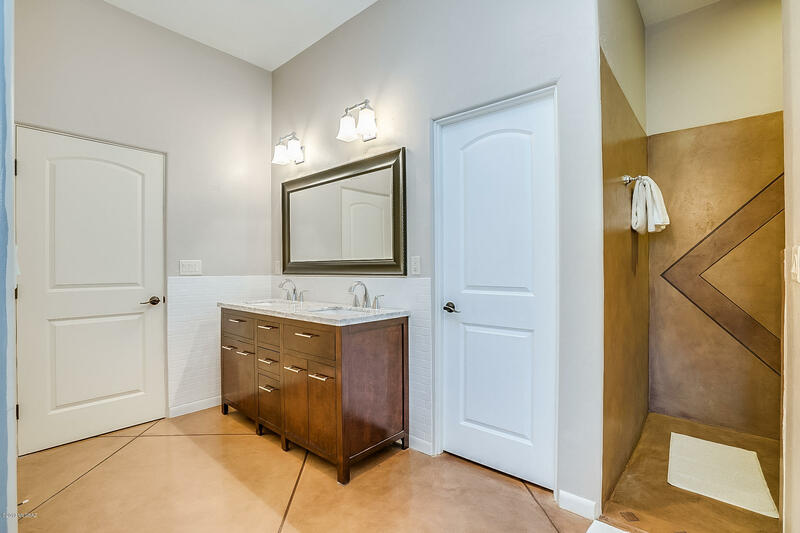 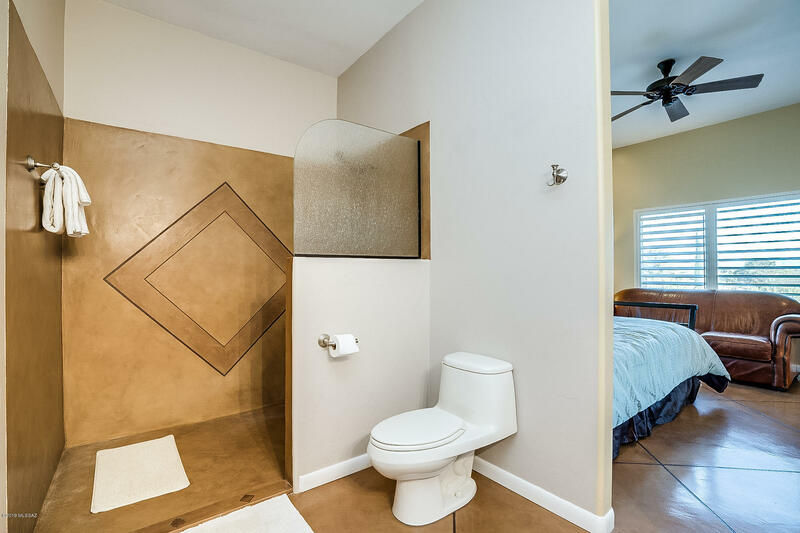 Master has his & hers closets, dual sinks & walk-in shower. 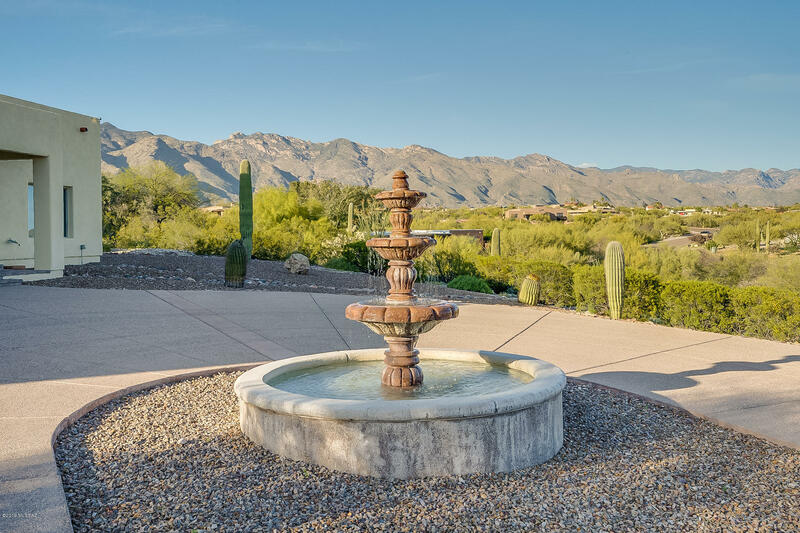 Home sits at top of long paved driveway, w/circular pad & fountain. 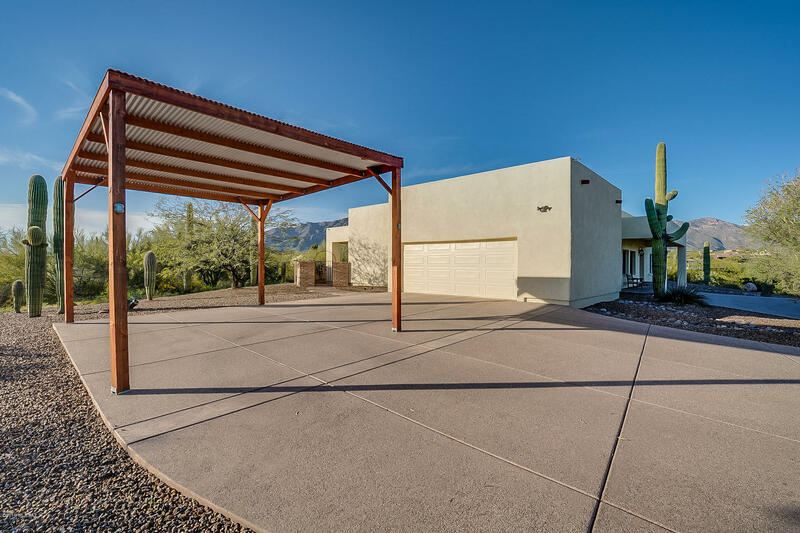 2 car garage & covered RV parking. 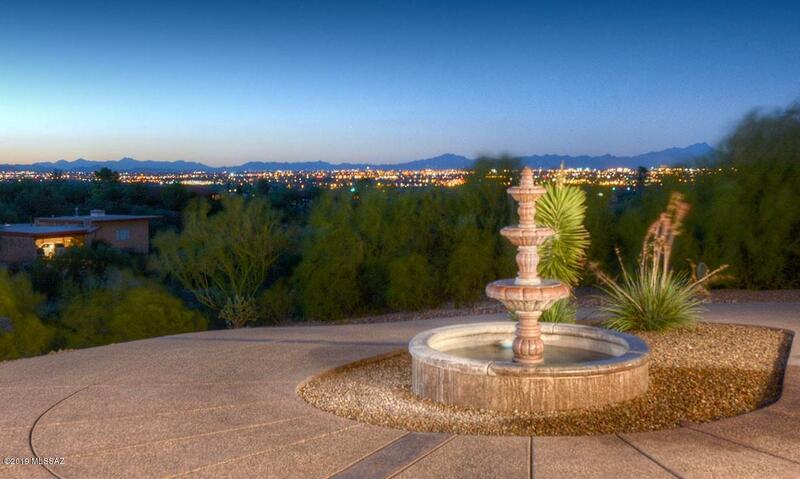 This is a special house w/views & finishes that will wow!